The Langham London, in the heart of the city’s West End, is an architectural icon and was Europe’s first Grand Hotel when it opened in 1865. 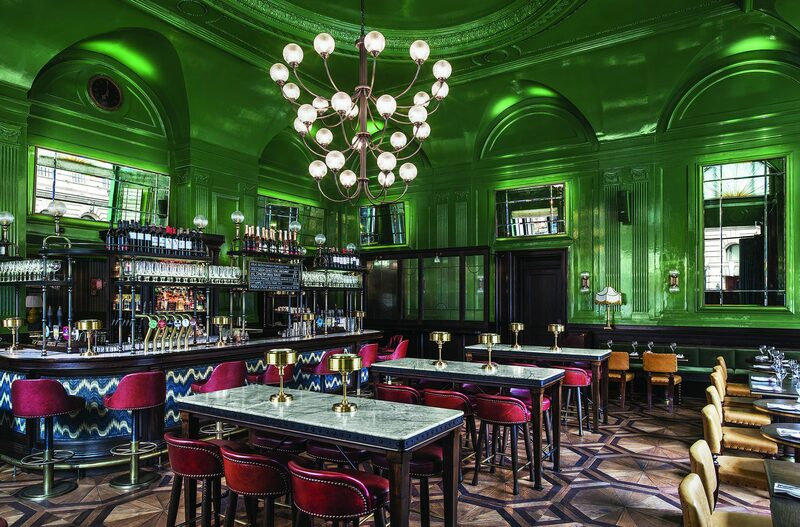 The Wigmore, its new modern British tavern with interiors by Martin Brudnizki Design Studio, features bespoke lighting by Dernier & Hamlyn including a spectacular 27 arm chandelier. The chandelier has been designed to be a luxurious, contemporary interpretation of traditional London pub lighting and was hand cast in brass and hand finished in antique bronze by our team of artisans at our London factory. We also produced beautiful wall lights that feature handblown ribbed glass globes fitted to individually cast and finished back plates.